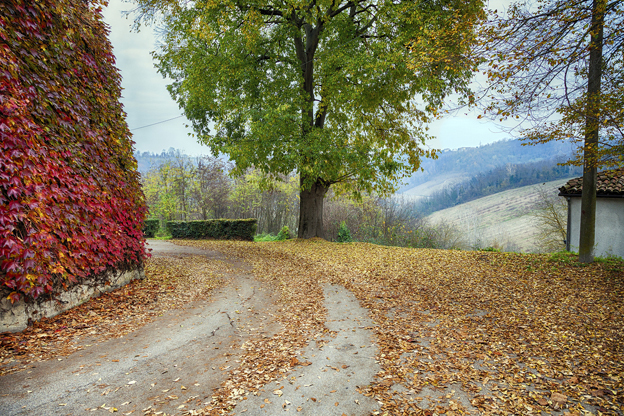 There’s no reason to be sad about the end of summer; autumn, with its changing colors, is a beautiful season and there are many places in Italy where you can admire the foliage. Here’s a selection of them. South Tyrol is synonymous with mountains and natural parks, and the choice of valleys to visit to admire the foliage is endless. We picked three that are close to each other so that you could visit all three on a single trip. A must during the fall in the Isarco Valley is the Chestnut Trail, which we’ve told you about here. A common tradition during the fall in these areas is the Torggelen, the sampling of local, seasonal products and tasting of the new wine accompanied by chestnuts, after a hike in the woods admiring the warm reds, yellows and oranges of the leaves. Sounds pretty much perfect, doesn’t it? There’s another ‘Chestnut Trail’ to check out (after all, chestnuts are synonymous with the autumn season): it’s in the beautiful Roero area of Piedmont, north of Alba, near the Langhe, where world-famous wines are made, so you can add a little bit of wine tasting (what’s better than that!). 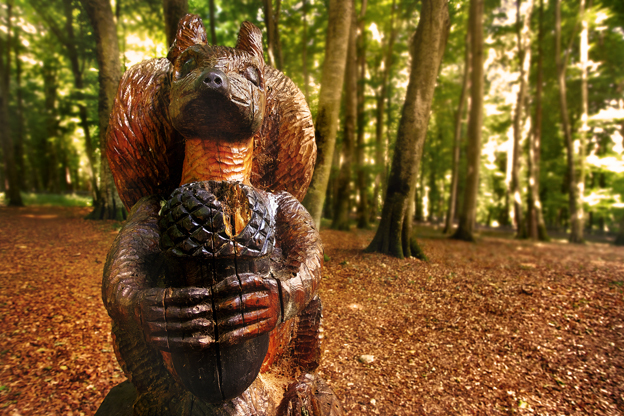 An easy trail that takes you to the aptly-named Castagna Granda departs from Monteu Roero (which boasts one of the best views of the area) and takes you to a plain where many chestnut trees can be seen, including a monumental, 400-year-old one, whose girth is 10 meters! Take some time to rest under the chestnuts’ crowns and feel closer to nature. During the autumn season, the ‘Valley of the Lakes’ in Trentino, not far from the city of Trento, is an explosion of colors. Lakes, vineyards and woods are dotted with villages and ancient castles that make for fascinating trips into the history of the region. Castel Madruzzo, founded in the 12th century, is on top of a hill covered with oaks and holm oaks; Castel Toblino, on the lake of the same name, is considered the most romantic castle in Trentino; the turquoise Lamar Lake has an amazing panoramic view of the massif of the Paganella, and the Brenta Dolomites behind. Rent a car, get on the road and go exploring. Straddling the border between Romagna and Tuscany, the National Park of the Foreste Casentinesi guards an ancient forest which is considered among the most pristine in Italy. Here, the monks of the nearby Eremo di Camaldoli have for centuries lovingly cared for the environment, preserving the natural beauty of area. In the fall, besides the changing colors, you may be able to hear the bellow sound of the deer, which live in the park in great numbers, a sign that mating season is in full swing. Nestled between Umbria and Marche, this park has several peaks higher than 2,000 meters, covered with maple and beech forests, where a varied wildlife, including wolves, deer and golden eagles, roam. 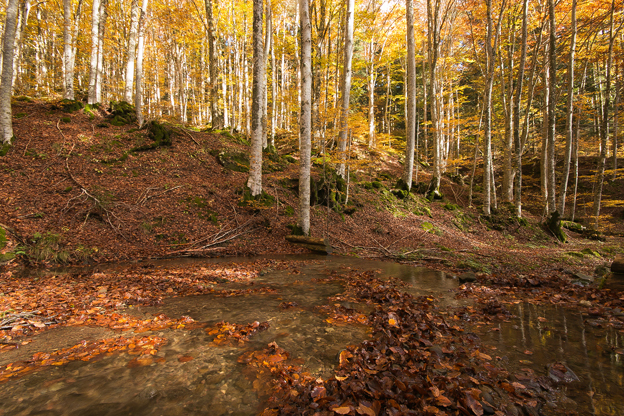 Here are a few good spots where to admire the foliage: the beech forest near Castelsantangelo sul Nera; the Lake of Boccafornace; the Macchia Cavaliera, near Perugia; the beech forest known as Faggeta di San Leonardo, near the hermitage place called Eremo di San Leonardo delle Pisciarella. Most people associate the southern region of Puglia with the beach, so the Foresta Umbra may come as a surprise. The name comes from the shade and almost dark areas you’ll find in this forest rich with tall, thick trees. Located on the Gargano promontory, this is a great place to admire the foliage. There are many trails you can take amid beech, hornbeam, maple, holly and hare trees, and discover ancient, magnificent specimens such as the Zeppino del Scorzone, a 700-year-old Aleppo pine; the Cerro di Vico, which is 400 years old and has a circumference of 5 meters, in front of the Franciscan Sanctuary of Vico; and the Colosso della Foresta, a beech rising above 40 meters. The Sila National Park in the southern region of Calabria is an ideal place to admire the foliage, thanks to the maples, poplars, beeches, and chestnuts that cover its grounds. An easy itinerary, suitable even for families with children, departs from Tirivolo, near Zagarise in the province of Catanzaro, and proceeds among centuries-old beech woods.